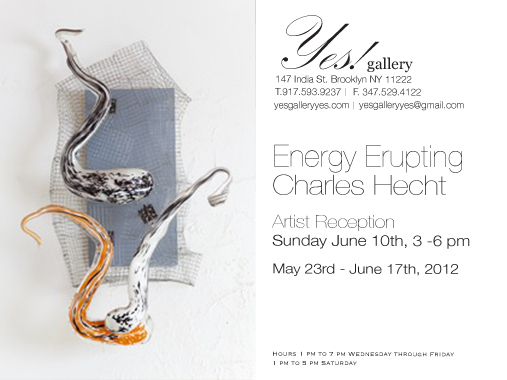 “Energy Erupting” works by Charles Hecht Artist Reception Sunday June 10th 3-6 pm. The show will be up through June 17th. Yes Gallery is proud to present “Energy Erupting” an exhibition featuring works by Charles Hecht, curated by Lesley Doukhowetzky. 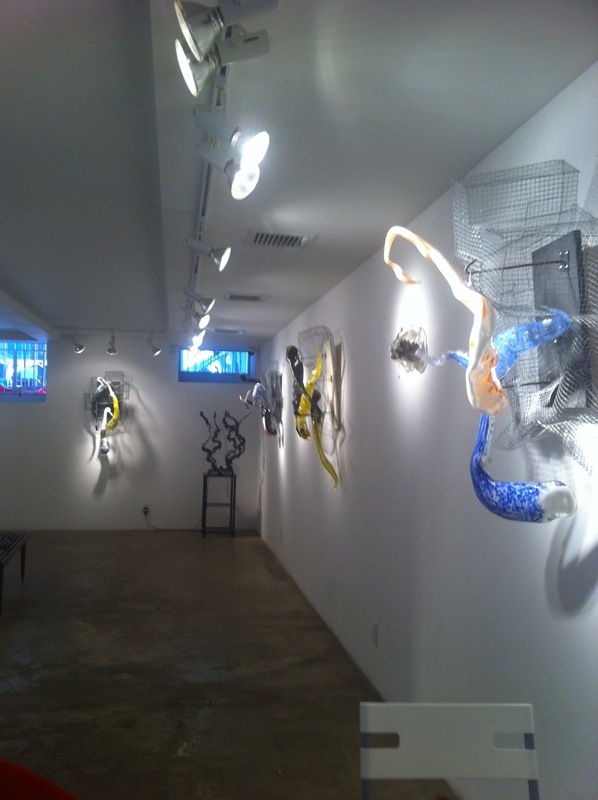 The Yes Gallery and Charles Hecht are pleased to invite you to the Artist Reception on Sunday June 10th, 3-6pm, and visit anytime through June 17th. Charles Hecht’s impressive “Creation Series” has captured the energy and potentiality of life. 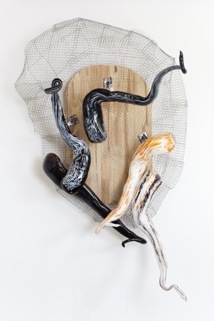 Each piece has a life of it’s own, and the unique and brilliant use of glass and metal combine to introduce “Energy Erupting”.